At Great Divide Dental in Helena Montana, we believe that Dental Care is an important part of optimal health. We will always strive to offer you the highest quality of dental care while incorporating the latest materials, techniques and technologies. Ultimately we want you to leave our Helena office with the feeling that our dentist office cares deeply about your dental health and will always strive to give you the best most comfortable dental experience possible. At our Helena family dentist office, we believe that your dental care should begin in a comfortable environment with an attentive staff who listens to your concerns and ensures you are a participant in your dental health choices. Our office offers modern technology, safe digital x-rays, dedicated spaces for confidential conversations, and is easy to find, with close parking to make navigation to our office accessible and comfortable. We are sensitive to any financial situation and our staff is familiar with all major insurance providers, so we make it easy to understand upfront what your responsibilities and copay will be before you leave. 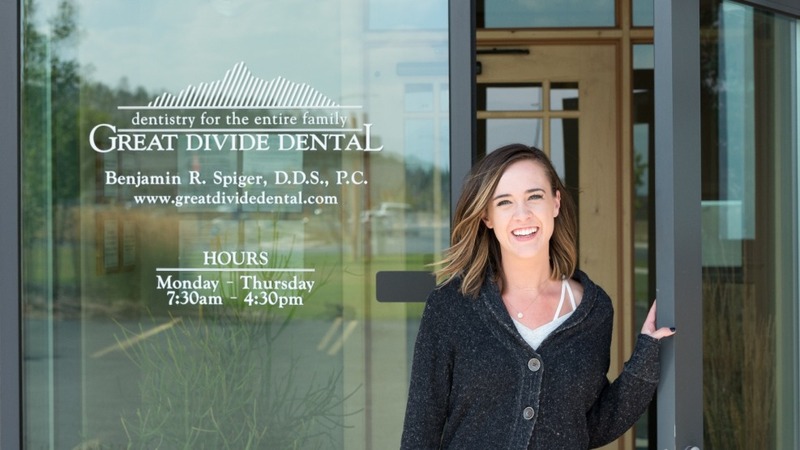 We strive to always provide a comfortable, compassionate, and expert level of care that will make you proud to recommend Great Divide Dental to others.